The next time someone says you have too many cameras, refer them to this article and T.M. Wong. Ever wondered what's the largest amount ever paid for a photo? Wonder no longer. Auctions, intimidating or fun? 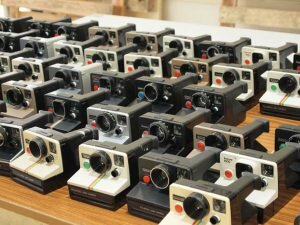 Find out how we got on at our first trip to a Christie's camera auction in London. If you collect cameras watch out, Channel 4 television may be waiting to pay you a surprise visit!